We move to Great Falls, Virginia with a sense of urgency: We are so busy with work. We hope to provide our children with a great education. We search for a home of beauty. We seek a sig- nificant community. We find a safe habitat in which to raise our young...and possibly grow old ourselves. The Colvin Run Community Hall on Colvin Run Road – the white schoolhouse turned dance hall – served as an anchor and glue of vibrant community life during the late 1800s to early 1900s. All the local fami- lies who lived nearby had a part in the nu- merous community fairs, events, perfor- mances, celebrations and game nights. Whether the Millard’s, the Cockrill’s, the Oliver’s, the Money’s, the Brown’s, the Wynkoop’s and others, everyone had a part to play in coordinating local events to cre- ate a context of belonging for their children. What was a platform of creative commu- nity “play” – and all the drama that sug- gests – has evolved into a vibrant dance hall that is still being enjoyed today. 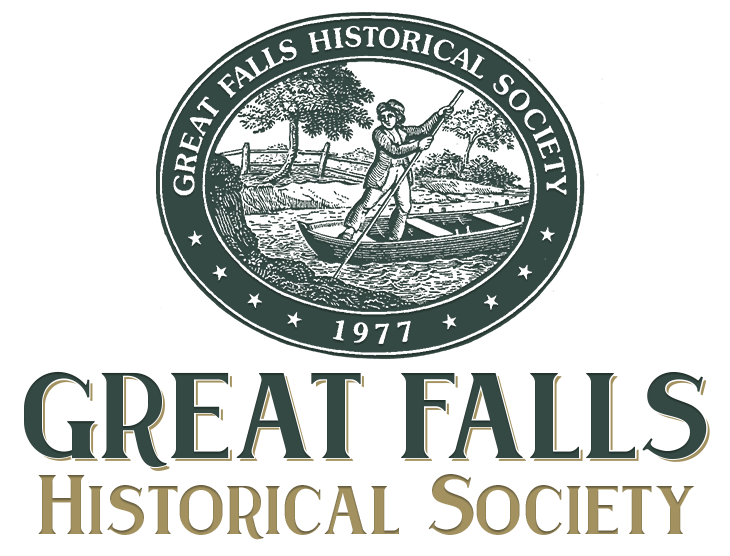 As new residents become accustomed to Great Falls, they are frequently amazed that George Washington had a connection to this area. George’s early teenage years were marked by his surveying of Lord Fairfax’s thousands of acres of land that included Great Falls. The vast perspective set in his mind during his teen years served him well throughout his life. As a general in the Revo- lutionary army, he knew the lay of the land, how it rolled and twisted, allowing him to defeat the British with a very small army. He envisioned a path from the Shenandoah to Georgetown and formed the Patowmach Company after his tenure as first President of our nation, to build a canal and lock sys- tem to enable navigation of a river with an 80’ drop. Although this entrepreneurial en- deavor ultimately failed, the negotiations among the various states ultimately led to the forming of the constitutional conven- tion and the formation of our nation of many states. It also takes a while to get to know the Great Falls Grange – a cooperative of adult farmers who decided to join together dur- ing economically hard times in the early 1920s to negotiate prices jointly, and to share good farming practices. From the cul- tural lore regarding membership in the Grange, we come to realize that becoming a good citizen and a leader is a task that we grow into through our entire adult life. Grange members were admitted into the group through initiations tied to the sea- sons. The first initiation honors spring – having faith that the unseen will manifest at its appointed time. The second initiation honors summer – keeping a spirit of hope, regardless of challenges that may arise, marks a person of character. The third ini- tiation honors autumn – working from a spirit of love and acceptance, not judging, will result in the most full and complete harvest. The fourth initiation honors win- ter. When things look empty and dark, it does not mean that all is lost, but things are happening out of sight. Being loyal as the field rests and things look barren shows character. The fifth and sixth initiations connect the granger with the state and na- tional level. The virtue of faith, connected with the seventh initiation, is symbolized by a bunch of wheat, which does not bend but grows straight up to the heavens. This is the message of stewardship – growing straight as the wheat, not being swayed by fads or contaminated by flashy promises, the farmer, uniquely deserving of being stewart of the earth, is called to participate in creating a connection with the earth that is sustainable. From childhood in the Colvin Run community, to adolescence as shines forth from George Washington’s vision, to adulthood as manifest in the growing initiation of mature character as found among the Grangers, Great Falls is a place sure to in- spire greatness! The historic Great Falls Grange re-opened March 7 with a ribbon- cutting ceremony. Great Falls Connection, Newcomers & Community Guide 2015-2016, page 10.